Bonefish Tarpon Trustboard member Jeff Wilson was recently fishing with us. We thoroughly enjoyed hosting Jeff and he had a great trip. We are longtime supporters of BTT — we appreciate the research work that they do to help understand, nurture, and enhance healthy bonefish, tarpon, and permit populations around the world. BTT Appreciates Boca Paila article. Learn about Bonefish Tarpon Trust and consider becoming a member/supporter. "Great trip this year. The permit fishing was amazing. Thanks to everyone at Boca Paila." "We can't wait for our annual trip to Boca Paila. 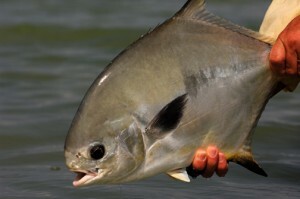 Looking forward to seeing everyone including the bonefish and permit!" "My son and I had the best fishing trip of our lives at Boca Paila last week. Many thanks to Ricky, Chico and all the guides for making us feel at home and for helping my son land his first grand slam!"